You may see something more clearly from distances, and for the same reason, a foreigner can sometimes have a deeper insight of a society than its native citizens. Peter Hessler is such a foreigner. Having lived in China for a decade and fluent in Mandarin, he brings the country’s peoples, foibles and history into sharp focus. I first got to know Hessler, or He Wei, his Chinese name, in 2012. In that summer, I read Country Driving, his third book about China. I always dream about taking a trip following the Great Wall all the way from the East China Sea to the Tibetan Plateau. Since I could not drive – I still can’t now—I planned to take such a trip by train. But Hessler is such a man, to take such a 7,000-mile trip. 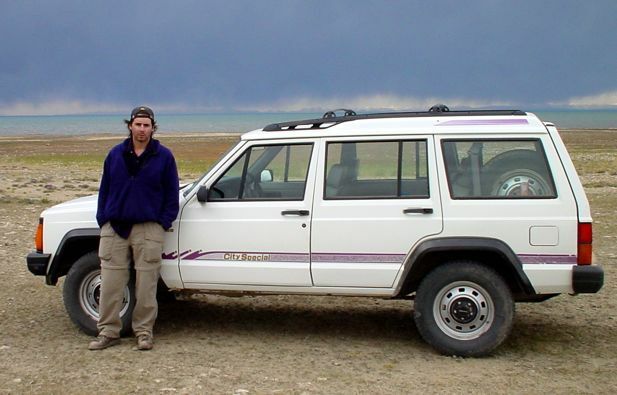 He drove a rental car across northern China. Hessler spent years in a small farming village in the mountains north of Beijing, and more years in a quickly growing city in southeastern China. People’s lives in both places had been irrevocably changed by major new expressways and the country’s wild development. The southern city he describes in Country Driving called Lishui, is quite close to my hometown, only one or two hours’ driving. The stories he writes convince me. The same stories happened to farmers and businessmen and migrant workers, also happened to people in my hometown, happened to someone I know, or even my friends and me. Wei family — Hessler’s friends and neighbors in a small town north of Beijing, set the pattern over the last decade of spiking prosperity and crashing all-around health. “In China, if you’re a business man, you smoke. So he started smoking, he also started drinking. …” he says in a radio interview, “The more successful he became, the more he smoked and the more he drank.” Both the high educational pressure on Wei Ziqi or his father’s health problem, are what I experienced myself. He makes few judgments. What he does, is telling you what he experiences and observes, in the first person. He won the 2008 National Magazine Award for excellence in reporting. Yes, he is such a good reporter, and a story teller. From 1996 to 1998, Hessler was taught English and American literature at Fuling Teachers College in Fuling, a small city on the Yangtze River in Sichuan province as a Peace Corps volunteer. This two-year experience inspired River Town, his critically acclaimed first book and a best seller. Thought another Volunteer and he were the first Americans to live in Fuling since the Communist revolution, he takes the experience as exchange more than “help.” He got to know China and Chinese people, and the local people get a sense of life outside China. “They’d been doing all right for 5,000 years before I got there.” He jokes in an interview. 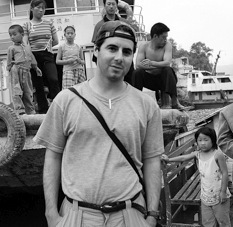 Between 2001 and 2013, this Peace Corps volunteer-turned-New Yorker writer delivered four richly detailed books on China told through his interactions with everyday people. Oracle Bones (2006), a multi-layered survey of that country’s past and present, is the second one. This finalist for the National Book Award is still not published in mainland China. For Strange Stones, the latest one, Hessler wanted to step back and reflect. This is a collection of his New Yorker stories. Hessler is never the first American to live in China; thousands of Americans have their own amazing Chinese stories to tell. But Hessler actually has bothered to take pen to paper and done so beautifully with good writing, engaging narrative, and a creative approach. Hessler says he is kind of walking in the footsteps of his grandfather, Frank Dietz, who wanted to go to China as a missionary priest, but was not allowed to. You know what, we Chinese people always believe in Yuanfen – maybe I can translate it as “fate and connection.” If something happened, no matter good or bad, it is destined long ago. Hessler may have Yuanfen with China, which is destined since his grandfather’s time. Where is Hessler now? Cairo. He went back to the USA in 2008, but chose to become a foreigner again. This time, Cairo is his destination. In 2011, he moved to the city after the Arab Spring with his family. Whatever Hessler writes, his strength is his perspective: he is able to write as an outsider.